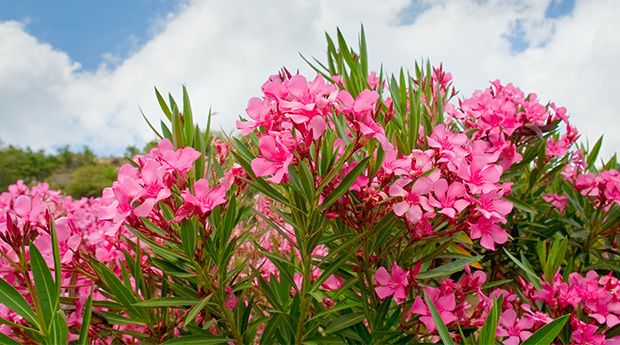 Oleander: All parts of this plant are toxic and usually cause heart dysfunction. 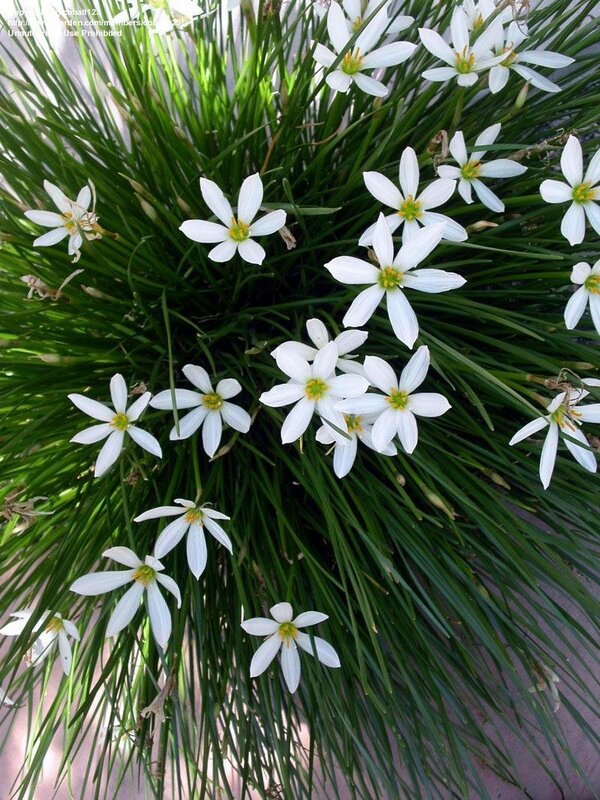 It is one of the most common causes of plant poisonings diagnosed in animals. 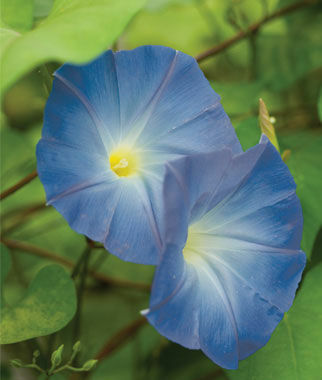 Morning Glory: The seeds of this plant can cause incoordination, diarrhea, lethargy, and liver failure. Branching Ivy: The leaves of ivy can cause diarrhea, hyper salivation, and abdominal pain in horses. The sap can also irritate the skin. 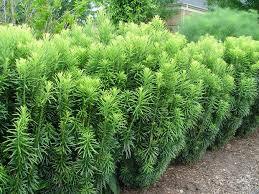 Japanese and English Yew: Horses that ingest the bark, leaves, and/or seeds can be killed very quickly when they ingest only 10-15 ounces. Signs include trembling, diarrhea, difficulty breathing, and collapse. Atamasco, rain, and zephyr lilies: The toxin is primarily found in bulbs and can cause dehydration, electrolyte imbalance, seizures, cardiac function changes, and possible dermatitis. 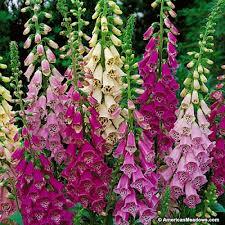 Foxglove: Horses that consume any part of this plant can suffer from colic, irregular heartbeat, and frequent urination. 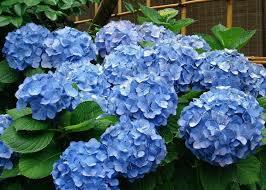 Hydrangea: Eating the leaves, buds, or flowers can cause colic, bloody diarrhea, labored breathing, weakness, coma, and death. 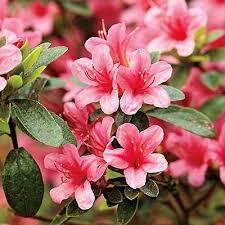 Rhododendron and Azalea: All parts of this plant can cause salivation, diarrhea, colic, abnormal heart rate, convulsions, coma, and death. 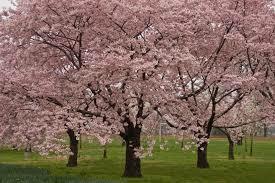 Cherry Tree: The leaves and fruit contain toxins (most toxic after a drought or frost) that cause difficulty breathing, staggering, convulsions, collapse, and death. Placement is also key. Although the plant itself may be out of your horse’s reach, Mother Nature may accidentally carry branches and leaves into your horses paddock. Walking your pasture after storms or strong wind may help you to find the plants before it’s too late! Local extension agents are a great resource to make recommendations for the best plant options. Previous PostGood, Better, Best: Which Oil?